A fine grained oak desk from the 1930's has a file drawer and two pull out shelves. 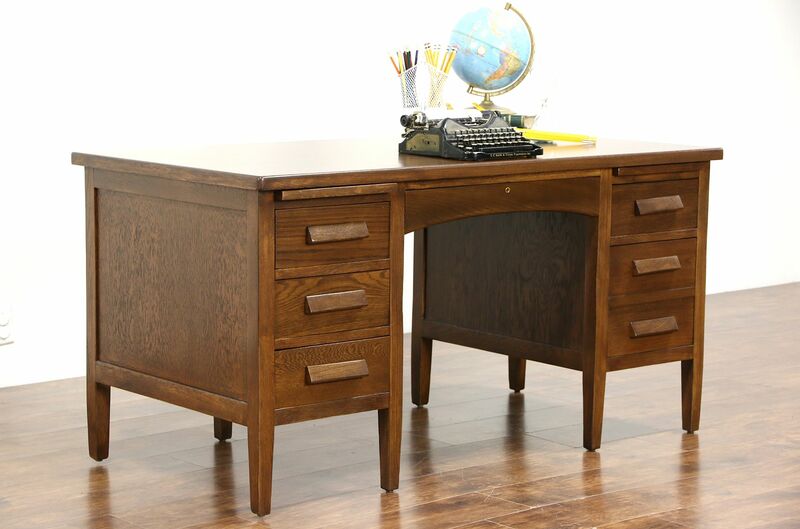 The restored finish is in excellent condition on this American made office or library furniture. Deep drawers have original carved oak pulls and dovetailed joints. Dimensions are 5' long, 30" deep, 30" tall and the kneehole is 25 1/2" wide and 25" high.